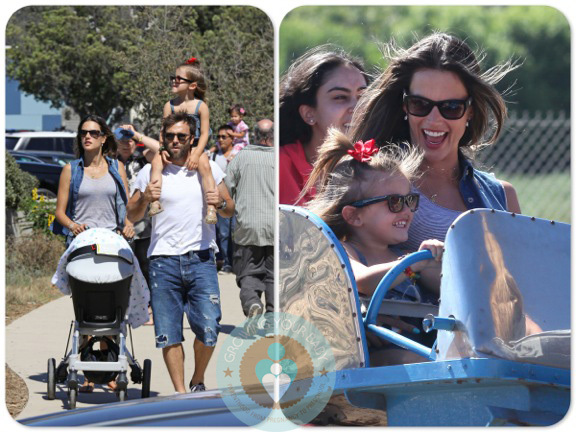 Alessandra Ambrosio & Her Family Enjoy The Malibu Cookout! 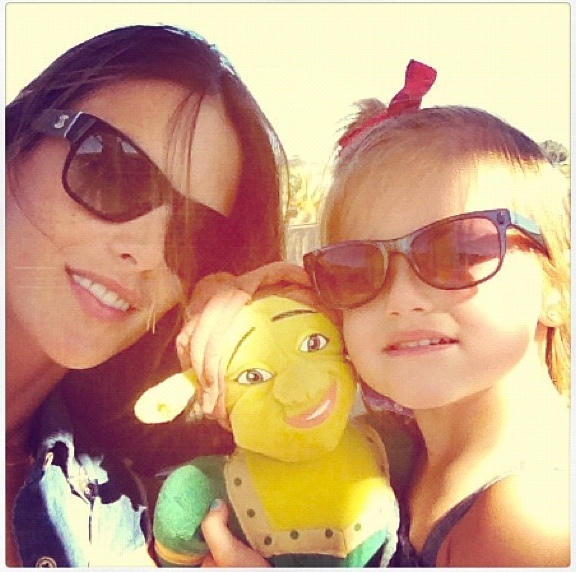 Home » Alessandra Ambrosio & Her Family Enjoy The Malibu Cookout! Alessandra Ambrosio and her family had a blast on the rides and racing down the Potato Sack Slide at the Malibu Kiwanis Chili Cook-Off, Carnival and Fair on Sunday. While matching in denim the model mama and her daughter Anja were all smiles as they whipped around on a mini coaster. The pair later enjoyed the carousel and feris wheel. A sleep in his stroller when the family arrived at the fair, Noah stayed close to his mom as they headed to their car. He was sweet in a white tee, a pair of striped shortalls and a white hat to keep him shaded from the son. What an awesome way to end the Summer off!